Launch your Spring gardening endeavors with advice from experts at the 13th annual Callaway Gardening School March 25, 2011. Join us for a fantastic gardening experience with one of Georgia’s own gardening gurus, Erica Glasener. Glasener, an Atlanta television host and author, will share information on how to choose plants best suited for gardens in Georgia. 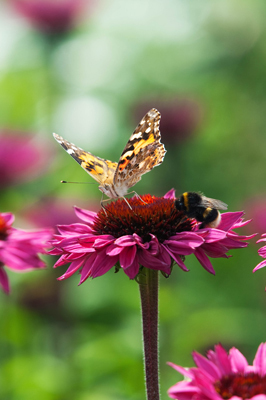 This knowledge will allow gardeners to create the best plant combinations for their personal gardens and landscape projects. Many of these plants will be available at the Annual Plant Fair & Sale simultaneously and throughout the weekend. Living and gardening in Atlanta, Georgia, horticulturist and author, Glasener has hosted “A Gardener’s Diary” on Home and Garden Television (HGTV) for 14 years and has written a biweekly column on plants and garden design for the Atlanta Journal-Constitution. She is the co-author with Walter Reeves of The Georgia Gardener’s Guide (revised edition published in 2004) and Month-By-Month Gardening in Georgia (revised edition published in 2006). Her latest book is entitled Proven Plants: Southern Gardens. 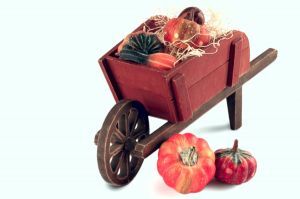 Glasener has also served as a contributing editor for Fine Gardening, a Taunton Press publication, and her articles have appeared in New York Times, The Farmer’s Almanac and Atlanta Magazine. 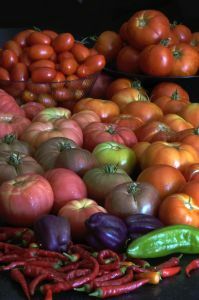 In her own garden, Glasener grows vegetables, fruits (including blueberries) heirloom roses, bulbs, perennials, shrubs and trees. She strives to have fresh flowers and foliage for bouquets to bring indoors or to take to friends throughout the year. Glasener lectures on gardening topics such as fragrant plants, perennials, the winter garden and garden design. Glasener will be joined by horticultural experts on an in-depth question and answer panel including David Chambers, manager of Mr. Cason’s Vegetable Garden at Callaway Gardens; Helen Phillips, manager of Garden Solutions Garden Center of LaGrange, GA,; and Ernest Koone III of Lazy K Nursery and Garden Delights Garden Center. Bring your gardening questions and challenges to see if you can get your perplexing gardening issues solved as well as receive practical, down-to-earth advice and insight into your gardening activities. During lunch, Glasener will be available to autograph her many books. These will be available for purchase at the event. 11 a.m. to 11:15 a.m.
12:15 p.m. to 1:15 a.m. Registration, which includes lunch, is $45. To register, contact the Callaway Gardens Education Department at education@callawaygardens.com or 1-800-CALLAWAY (225-5292) ext. 5153. Space is limited so register today. Enjoy free admission to the Callaway Gardens Plant Fair and Sale happening alongside the Gardening School. The plant fair offers hard to find plants that are unique to the Southeast. Plan to visit March 24 between 3 p.m. and 7 p.m.; March 25 and 26 between 10 a.m. and 6 p.m.; and March 27 between 10 a.m. and 5 p.m. Be sure to travel in a vehicle large enough to take home your finds! Head to Callaway Gardens with a plant list and a vehicle large enough to take home all of the great finds from the Callaway Gardens Annual Plant Fair and Sale, March 24-27, 2011. Choose from garden-décor, gardening books and tools as well as an incredible array of flowering plants and shrubs, including many unique, hard-to-find varieties and native plants that thrive in the Southeast, often in challenging weather conditions. In addition to Callaway Gardens’ plants and specialty items, 15 other nurseries and specialty vendors from throughout the Southeast will have plants for sale, answer plant-related questions and offer their very unique garden-related wares. Those participating include: Chattahoochee Valley Day Lily Society; Eagle’s Roost Herb Farm; Fern Ridge Farms; Garden Delights; Garden Solutions; Hollonville Nursery; JAM‘n Designs; Laurel Springs Nursery; Massee Lane Camellia Gardens; Our Secret Garden; Petals from the Past; Rocky Branch Nursery; The Garden Enthusiast; and Waypoint Nursery. The Plant Fair and Sale will be open to the public Thursday, March 24 from 3 p.m. to 7 p.m.; March 25 and 26 from 10 a.m. to 6 p.m. and March 27 from 10 a.m. to 5 p.m. Admission to the Plant Fair and Sale at the Beach Dome at Robin Lake Beach is free when entering through the beach gate on U.S. Hwy. 27. Admission will be charged to those who wish to visit the rest of Callaway Gardens. Special event pricing for Celebrate Spring! $25/adult; $12.50/child; children five and under are admitted for free. 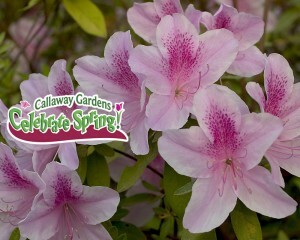 Callaway Gardens Annual Passholders and active and retired military, with valid identification and up to five guests, receive free access to Celebrate Spring! Enjoy the explosion of color among the Spring blooming trees, azaleas, bulbs!